PERFECT BALANCE. F430 SPLITTER + GT BUMPER*. Get the complete package. The Aeromotions splitter provides more front grip without increasing drag. 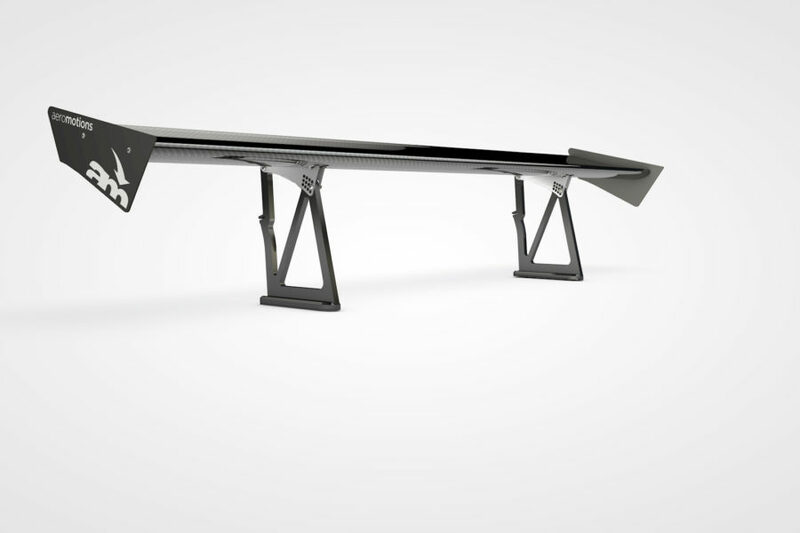 Designed and Wind tunnel tuned for use with a GT bumper (not included), this splitter allows you to achieve neutral balance for predictable handling. If you demand perfection, the GT bumper can be pre-finished by our Ferrari development partner, Classic Coach. Specially formulated Amarin fiber offers a new level of durability. This miracle material is almost as strong as carbon fiber, but has much greater resistance to wear. Carbon has very little abrasion resistance. That means each bump scrapes a lot of material off. When you wear the splitter down to the core material, you can expect it to break. Amarin has no core, and has 10X the abrasion resistance. It just lasts longer. DEVELOPED IN A $42M WIND TUNNEL. The F430 Challange car aero is a technical tour de force. We pulled out all the stops. You can see the complete development in the R&D car section.